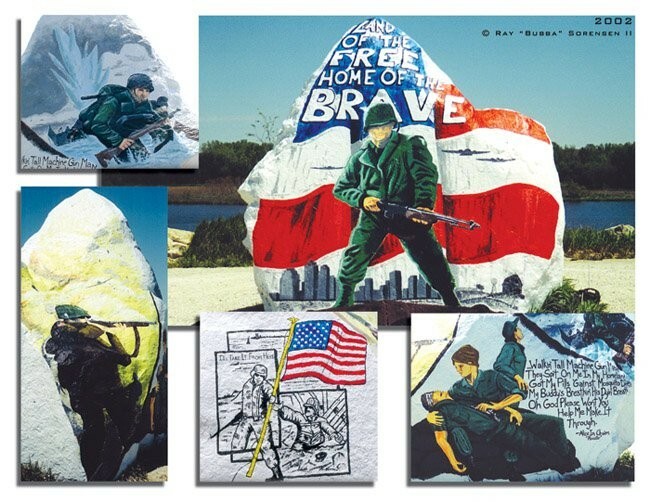 Thanking our Veterans, one painting at a time. 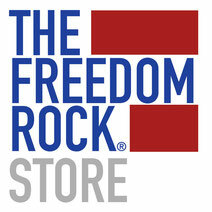 Click below to play Freedom Rock video !! 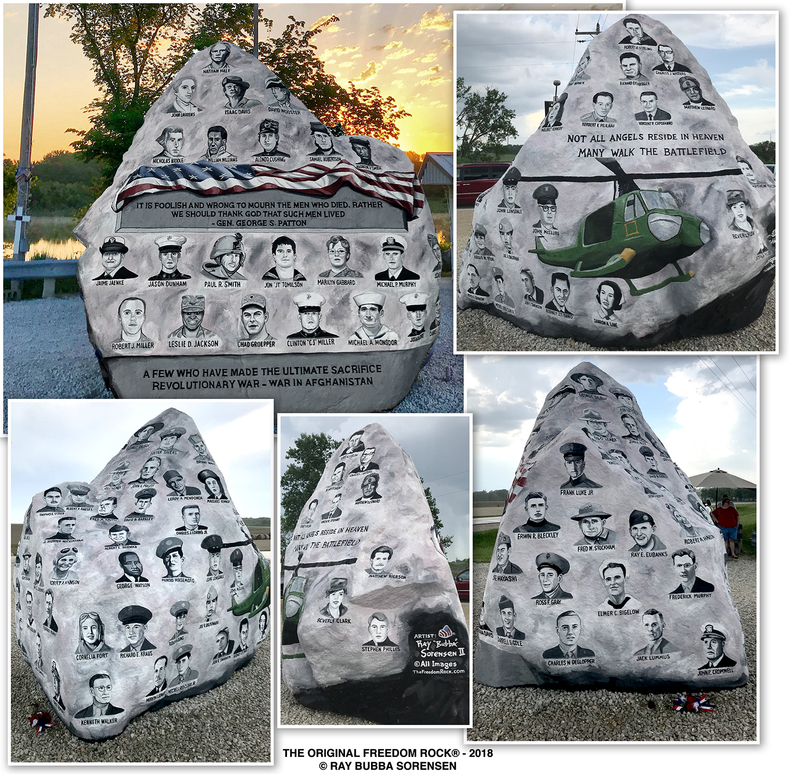 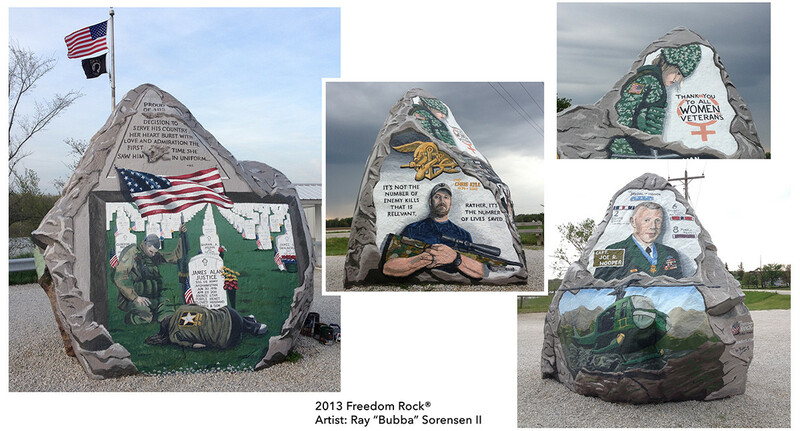 The Freedom Rock (established in 1999) is a large (approx. 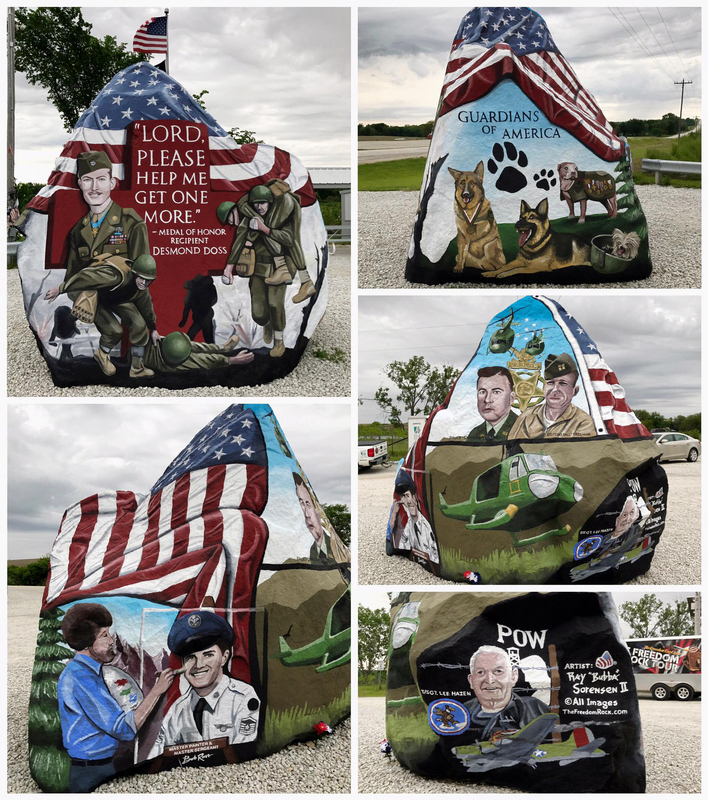 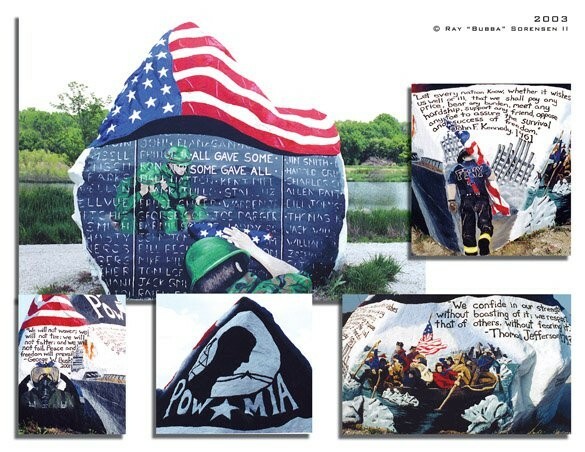 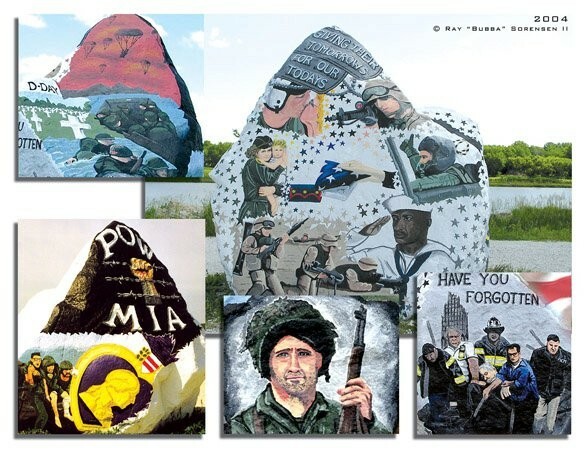 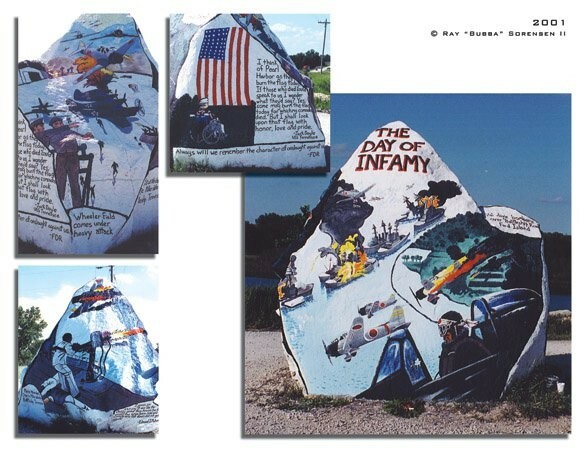 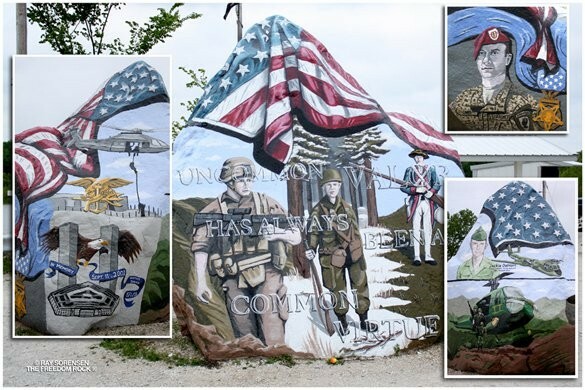 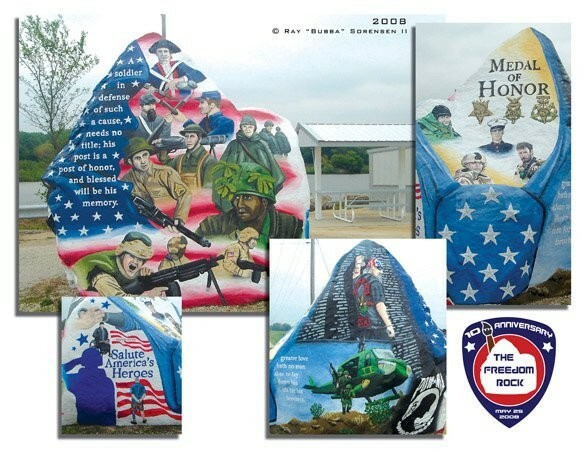 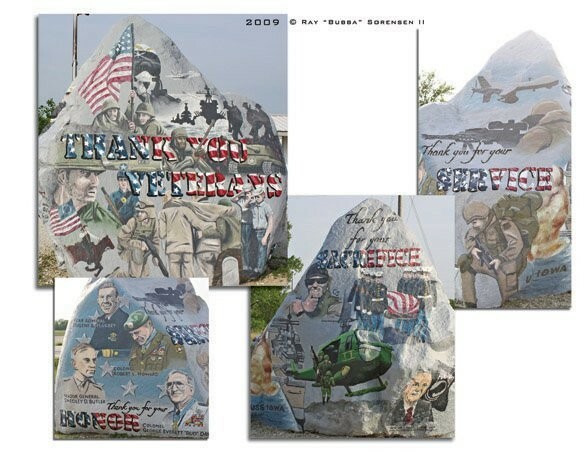 60+ ton) boulder located in rural Iowa that is repainted every year with a different Thank You for our nations Veterans to honor their service to our country. 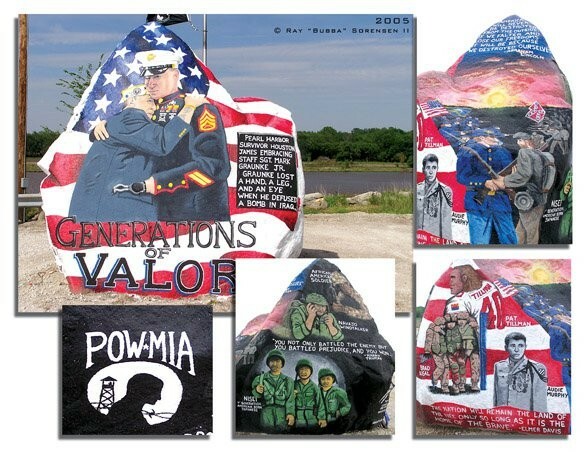 The artist, Ray "Bubba" Sorensen II, was inspired by the movie Saving Private Ryan, as well as, wanting to give Veterans a unique recognition on Memorial Day. 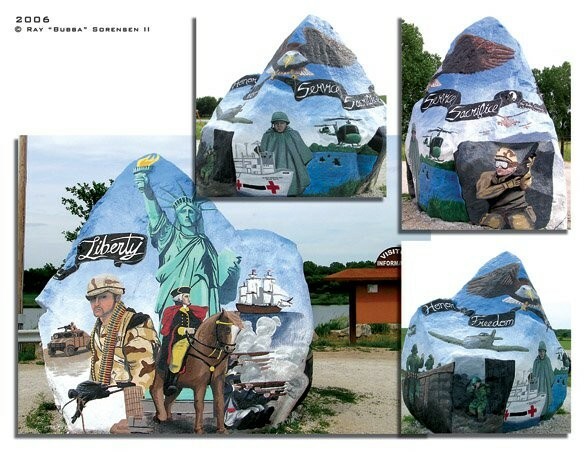 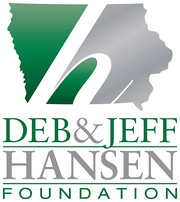 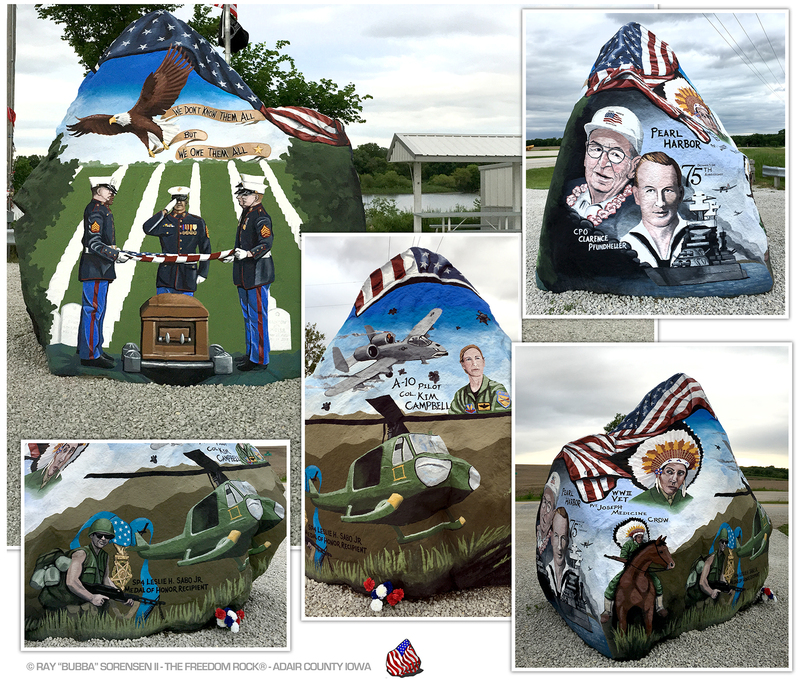 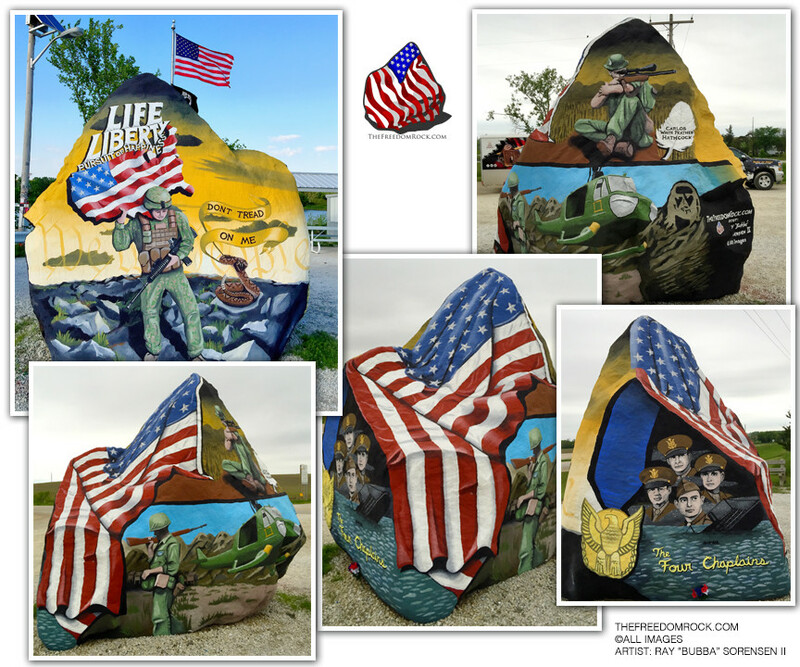 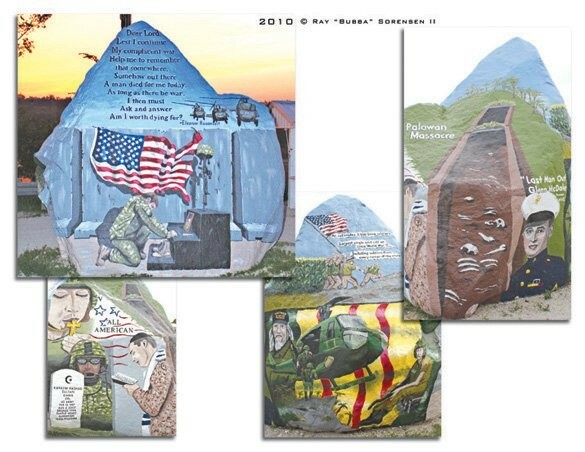 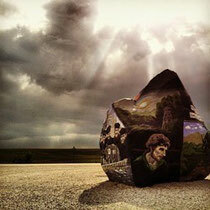 While painting murals across the country Sorensen had the idea of spreading the message of The Freedom Rock to other small communities across Iowa. 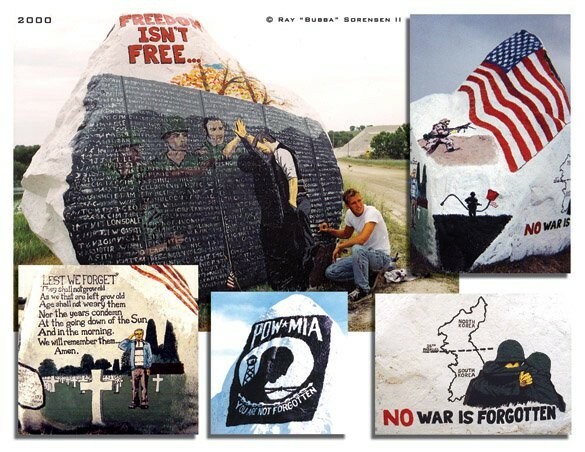 The idea in part came from the 99 county tours that both Sen. Grassley and journalist Kyle Munson took part in, and so the Freedom Rock Tour was born. 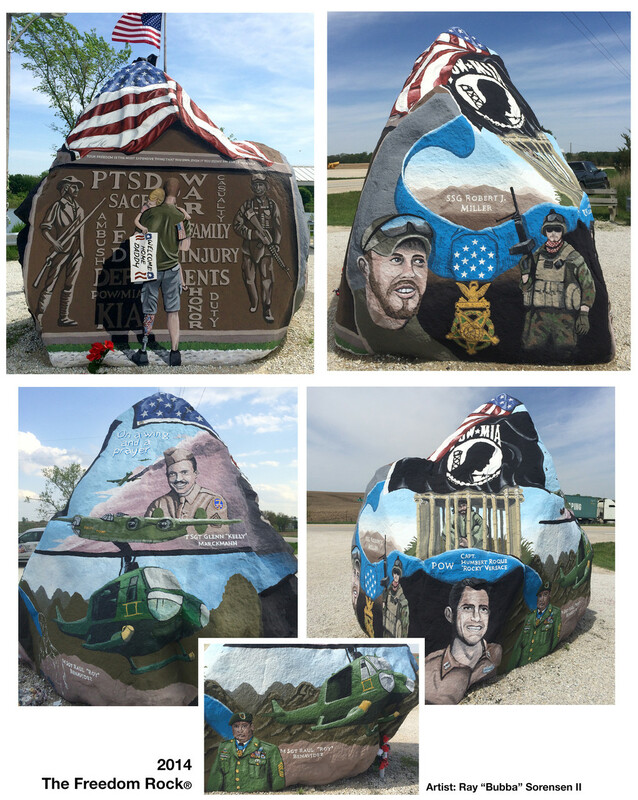 For the next few summers Sorensen and his family will travel the state of Iowa to put a (smaller and unique to their area) Freedom Rock in each county. 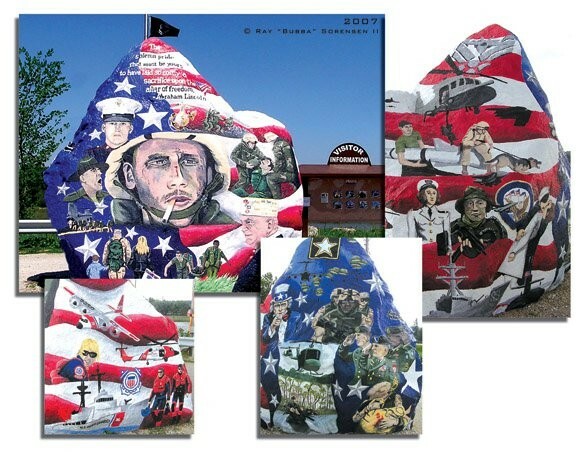 During the winter months Sorensen can be found painting indoor murals (or in warm climates outdoor murals) and spending time with his family. 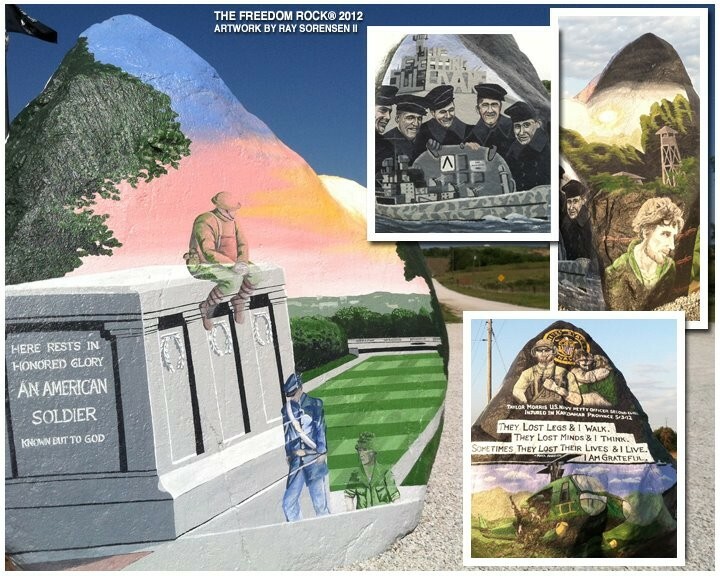 Thanks for visiting and if you have questions about The Freedom Rock, The Tour, or hiring Ray for a mural, be sure to contact us. 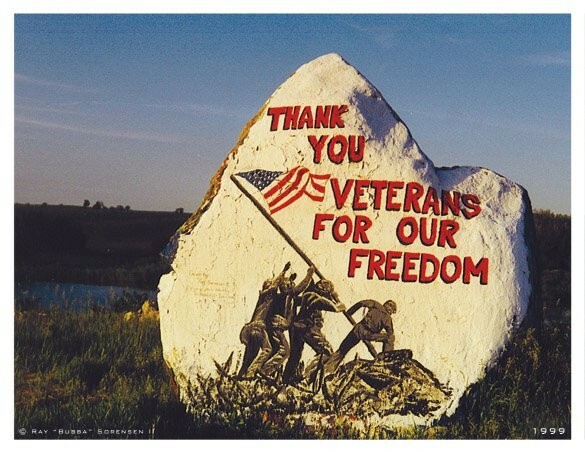 Thank You Veterans for our Freedom.